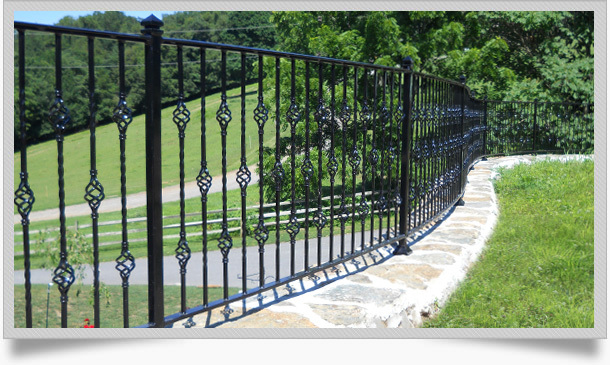 Looking for a wrought iron fence to spruce up your property? 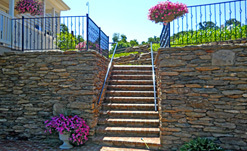 Blank’s Welding offers custom wrought iron fencing to fit any size, length or area. Although traditional wrought iron fence is finished in a semi-gloss black, we can finish your fence in almost any color with our powder coating service. Choose from a variety of decorative balusters to get that right artistic look you desire. Our quality craftsmanship and rigid construction allows for both residential and commercial applications. Installation is even available for parts of Chester County and Lancaster County. Blanks Welding is also a custom welding shop. We can weld angle iron, steel, aluminum, stainless steel and other materials for your products. Add some artistic beauty to your surroundings! Contact us today for choices and pricing. ©2012 Blank’s Welding / Serving Chester County & Lancaster County / 5921 Plank Road, Narvon, PA 17555, 717-442-3619 / Web Design Lancaster PA.